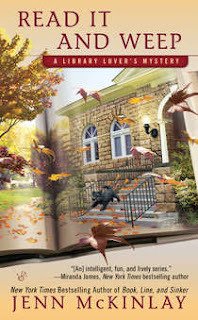 DEBORAH CROMBIE: Recently, one of our regular readers here on JUNGLE RED WRITERS, Rick Robinson, challenged all eight of us to choose two favorites out of our own books. I've been debating about this ever since. It's so hard, like being asked to choose your favorite child (easy for me since I only have one!) Readers do ask us this regularly at book signings, and I usually waffle and say, "The new one!" Or, "The one I'm working on!" because of course you want your readers to buy the newest book. And it's not really disingenuous because the newest book is always the one you feel closest to. To look back over a body of work (anything more than two books!) and pick two is tough, however, because I love them all, if for different reasons. So here are my two choices--although I don't guarantee I will make the same picks tomorrow. AND JUSTICE THERE IS NONE. This is the 8th Duncan and Gemma book, and it was a tough one to write because some hard things happen to Duncan and Gemma. But this book was the beginning of big changes in their relationship, and those were good ones. And it was the beginning of my love affair with Notting Hill. I was steeped in the history and the atmosphere of this particular part of London, and I still adore it, so rereading this book is always a bit like going home. And NO MARK UPON HER, #14. Well, it's Henley, and rowing, and search and rescue dogs. How could I not love this one? The research for this book was an absolute blast, and the exploration of the issues faced by my Iraq war veteran are still so relevant. This book is also the beginning of the story thread that winds through the next three books, which was a huge challenge for me, but I was so glad in the end that I followed it through. Now, REDS, what are your two choices? HALLIE EPHRON: I *hate* this question! But yes, I can answer it. I love THERE WAS AN OLD WOMAN. 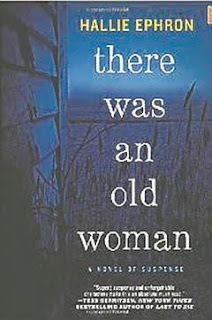 One of the main characters, an 80-year-old woman, Mina Yetner, is simply one of the best characters I've ever written. And I love how the crash of a World War II bomber into the Empire State Building is a key part of the back story. I thought I picked the Bronx neighborhood because of its view of the Empire State Building, and then I discovered my mother was born there. Kismet. And YOU'LL NEVER KNOW, DEAR, another one with a memorable elderly woman as one of the main characters. And, of course, the creepy dolls. And the South Carolina setting which was something I'd never done before. INGRID THOFT: This is so hard, Debs! Each book is like a child, and I feel guilty, but here goes. There is a soft spot in my heart for IDENTITY, the second book in the series. Its theme of identity (see how I did that?) and the questions associated with it—What makes a family? How do you make a family? Nature vs. nurture?—still resonate. The book also features some young adults who are grappling with tough questions, and it was great fun writing those characters who were on the brink of coming into their own. 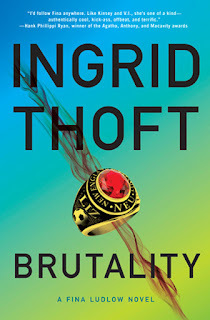 My second choice is BRUTALITY, the third book in the series. I loved digging into the research on sports-related concussions and also raises questions about the cost a society is willing to pay—or have certain members pay— for sports-related entertainment. That conversation has only grown in breadth and depth since the book was published, and I love that it still feels timely. RHYS BOWEN : I have an awful lot of children to choose from! And so hard to choose. Of course I am fonder and prouder of some books than others and I find that some books that were harder and less easy to write now seem to linger fondly in my memory. If I have to choose two one would have to be HER ROYAL SPYNESS. It was such a risk, a different sort of genre-bending book and now after 11 years, it's still selling brilliantly. And I loved Georgie's voice from the first sentence. It's really fun to spend time with her. My other choice would have to be IN FARLEIGH FIELD. This was a story I've been wanting to tell for a long time. My publishers weren't keen. Nobody seemed enthusiastic. Lake Union gave it a chance and it has sold amazingly well, won an Agatha and a Lefty and got an Edgar nomination. It feels marvelous! JENN McKINLAY: This is right up there with where do you get your ideas. Ugh. I had to think about this for a while. I've written over forty books and I am rather fond of them all for different reasons. There are two that stand out not as favorites so much as books that forced me to grow as a writer. READ IT AND WEEP, the fourth library lover's mystery, was the first book where a character refused to stick to the outline. The person who was supposed to die wouldn't. Major game changer as I had to write outside of my beloved synopsis. Brutal but such a better book for it. But only for that one - I still love outlines. BARKING UP THE WRONG TREE, the second Bluff Point rom-com, was another challenge. I turned it in Nov 1, 2016, and by Nov 8, 2016, the entire world had changed and I felt vulnerable as a woman in ways I never had before. I could no longer do to the heroine of that story what I had done. It wasn't funny anymore. I asked for the book back. My editor gave me three weeks. I ripped out and rewrote 50,000 words of a 100,000 word manuscript in those twenty-one days. The book went on win a RT Reviewer's Choice Award, but more importantly I was much happier with it. It taught me to always trust my instincts. LUCY BURDETTE: Agreed, this is hard. 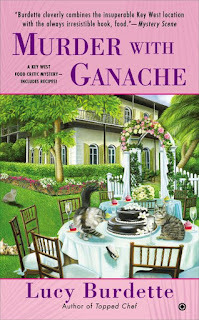 I'm leaning toward my second Key West book, DEATH IN FOUR COURSES, and number 4, MURDER WITH GANACHE. 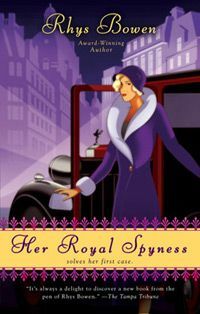 The first book in the series is very challenging in some ways--it felt as though I hadn't quite figured out Hayley Snow's voice and persona, nor her supporting cast. But by the time DIFC came along, Hayley's mother had made her presence known, and so had Miss Gloria, and Eric. 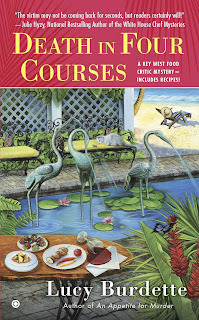 And besides, the research for that book involved attending the Key West literary seminar for which the topic was food writing. It was heaven! "Lucy Burdette gives depth to this book by dissecting the modern family in all its divorce, remarry, reshape, share kids, make nice, stay enraged, give up, try again glory and gloom. Hayley’s caring yet determined nature often provides the healing salve that lowers the anxiety level and heals torn relationships. The author’s background as a clinical psychologist clearly enriches her handling of this material. 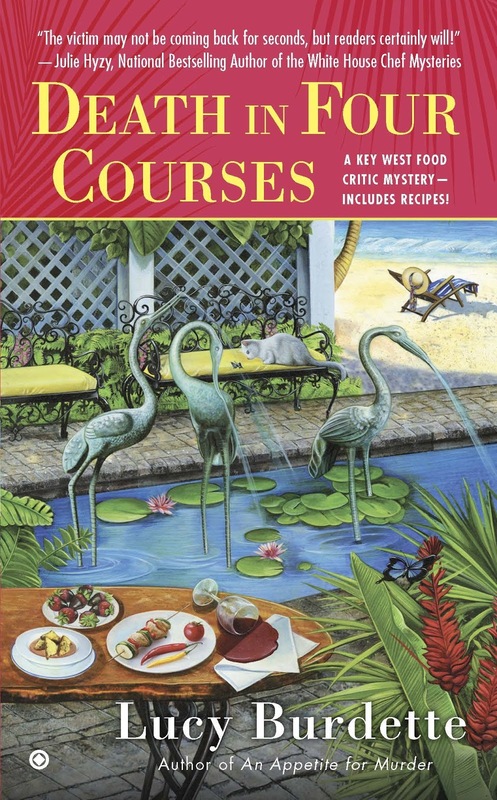 The constant charms in the Key West Food Critic Mystery books are, as one might expect, the attention to Key West and the attention to food — as nourishment, me delight, art, business and social lubricant." 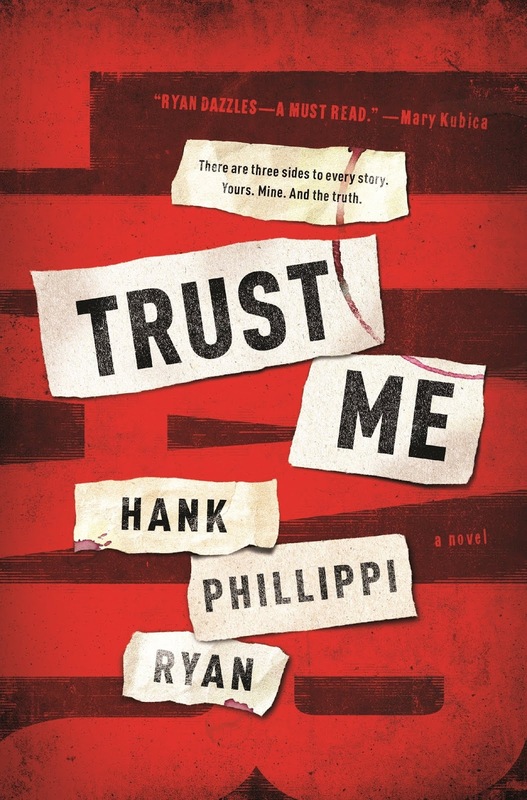 HANK PHILLIPPI RYAN: Well, here's the thing--what a treat to be able to make such a choice! I'm still thrilled that I get to do what I do, and that people read my books. Thank you! So with that said, I have to pick PRIME TIME as one of them--my very first novel, my very first experience with it--I still remember perfectly the goosebumps I had when I thought of the plot (secret messages in computer spam!) and what a joy it was to quite the first Charlotte McNally story. ( would have done a few tiny things differently now, now that I know more (!!) but I adore the book, it's still a terrific story, if I do say so, and it still holds up very nicely! It won the Agatha for Best First Novel, and I am still getting royalty checks for it. So that's pretty great. My second choice is easy, too: TRUST ME. My newest book, a psychological standalone (my first standalone!) comes out August 28, and has already been named a BookBub Best Thriller of Summer 2018. Yay! Two strong women face off in a psychological cat and mouse game to prove their truth about a terrible crime--but which one's the cat and which one's the mouse? (I dare you to find the liar!) And, hurray, Forge is so excited, they are offering the first five chapters free on Amazon! Click here to make sure you get one . And whoo: Publishers Weekly just called it intriguing, twisty, sinister, satisfying and revealing! 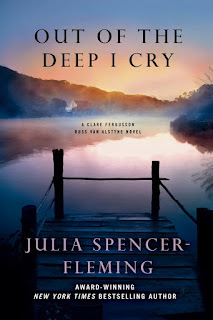 JULIA SPENCER-FLEMING: I've had my two favorites for some time; until I write something that pleases me better, they'll stay. One: Out of the Deep I Cry. The third in the Clare Fergusson/Russ Van Alstyne series, this has been my only (to date?) Edgar Award nominee. It was the first book I wrote with a non-linear storyline - you know, one where the tale begins at the beginning and progresses in chronological fashion to the end. Instead, one strand of the story begins in the 1960s and moves backward in the past, while another, in the present day, moves forward. I enjoyed the challenge of making everything come together at the climax. 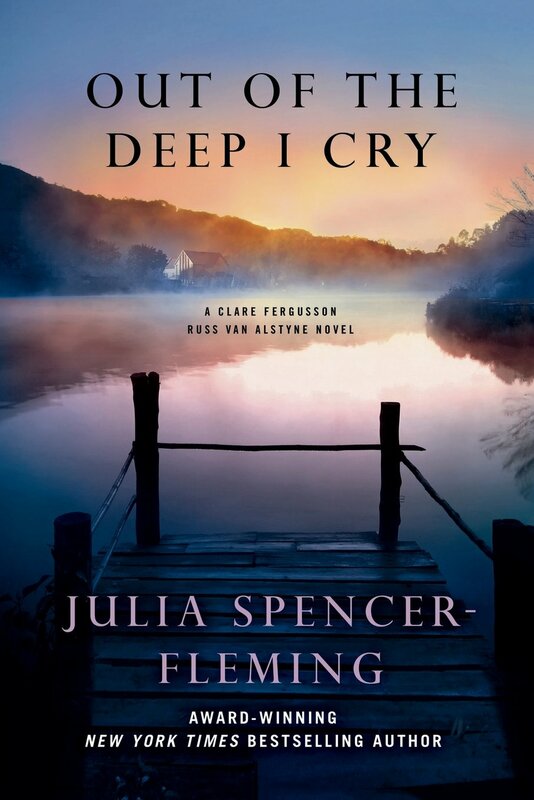 But the most important reason I love Out of the Deep I Cry is because it was the first novel where I really dug deep into my own emotions and fears. It resulted in what I consider my most moving, emotionally honest book. Two: One Was a Soldier. This was another structural writing challenge. The first half of the book is a series of flashbacks by no less than eight point-of-view characters, each one framed by a present-day group therapy session. Getting each of the timelines to wind up in the same place was a real writer's education. 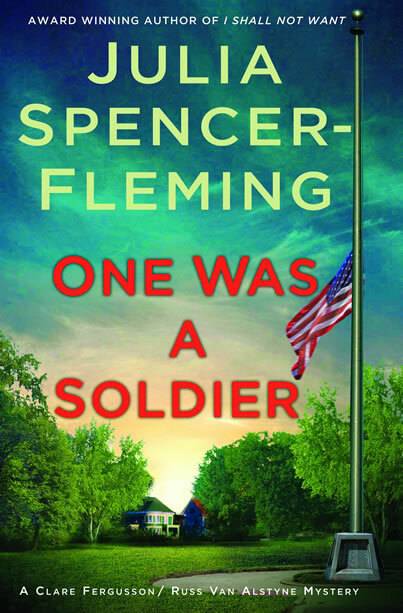 The other reason I love One Was A Soldier is reader reaction. It's the story of several National Guardsmen who have come back to their small home town after deployments to Iraq and Afghanistan. Most Americans today don't know, personally, anyone who has served in the military once you get past Great-granddad in WWII. So I take it as an enormous compliment when readers tell me they feel as if they've connected to veterans after reading my book - or that they understand their own service member better after reading it. DEBS: This was such fun! Some of these I would have guessed, but others not. And so interesting to see why we like particular books. Jenn, I can't believe you did that sort of rewrite in that amount of time. We are in awe. You get our Wonder Woman award today!!! Readers, any picks? Or comments on why certain books stand out for you? We'd love to hear your thoughts. Picking favorites from a shelf filled with Jungle Red favorites is simply too hard . . . somehow, I always find the book I am reading is the one I seem to love the most. Will it suffice to say that I’ve never read a Jungle Red book that I didn’t adore? The range of stories, the characters, the surprises . . . they’re all my favorites. 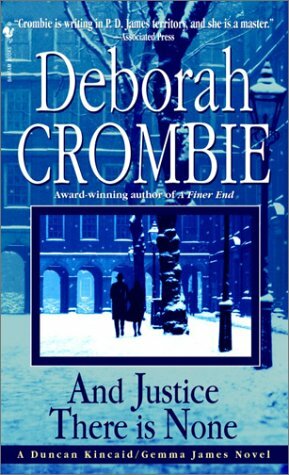 I've read and enjoyed many of the Reds' books, but I'm most familiar with Deb's novels, and have read all of those. There my choices are easy: No Mark Upon Her and The Sound of Broken Glass. I love the way her research shows from the very first page of No Mark. In those opening pages, as she takes us down the river, I can tell, as a reader, that she's been there, and knows the sounds and smells and sights of early morning on the Thames. The book just gets better from there. And I love The Sound of Broken Glass because of the music--the grotty clubs and annoying bandmates, the magic that happens when good musicians get together, and Andy himself, who is one of those characters meant to be a throwaway who refused to be thrown away. If readers have just discovered Deb, but don't want to start all the way back at A Share in Death, I tell them to start with No Mark and Broken Glass. Plus, I can't wait to read the new one! Thanks, Gigi! I think one reason I love No Mark so much is that sense of authenticity. And it's one of those books where I still think about the characters and wonder what they're up to--Kieran and Freddie and Tavie. And the dogs, of course! I was so tempted to include The Sound of Broken Glass, a favorite for so many reasons, but especially because it was my "dreamed" book. Yeah, this is not a good idea. Picking two books from each of the JRW bloggers catalog seems like it would not be easy at all. I can't really do it. I will say that Ingrid's Duplicity remains one of my all-time favorite reads, period. 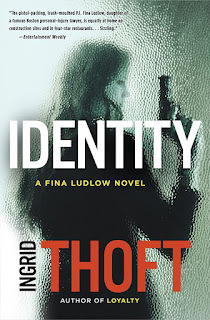 I love the entire Fina Ludlow series but the fourth book was just amazing. And if just my word isn't enough to convince you of that, consider that I've now been raving about the book for about 17 months whenever I've had the opportunity. I'm looking forward to Hank's new book but The Wrong Girl and Say No More are probably my particular favorites. For Rhys, it all begins for me with Murphy's Law. Also, In Dublin's Fair City. As for everyone else, I'm not as familiar with your collected works (except Jen's Library series) so I'll be using this topic to pick up some suggestions to give me new stuff to read. You have definitely been DUPLICITY's biggest cheerleader! Thanks, Jay! I'm like Gigi. 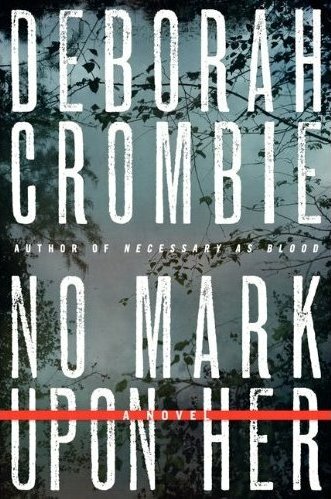 I have read many of the Red's books, but I've read all of Deb's twice! 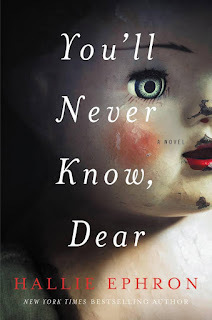 As I've told you all before, I discovered Deb, Louise Penny, and Ann Cleeves all in one swell swoop while confined to my home with a devastating knee infection. It was a long hard summer, that! My very favorite book of all is DREAMING OF THE BONES. I suggest it is a masterpiece, and my friends who have read it agree. In fact, I think it is time for a third rereading. Deb, you knocked it out of the park and into the stratosphere with this one! Rhys, I loved IN FAIRLEIGH FIELD. The association with Bletchley Park was, of course, great, but what knocked my socks off was the Mitford connection! Hallie, YOU'LL NEVER KNOW, DEAR keeps me up nights just thinking of the cover alone, never mind the plat. I was a doll person, and I have no trouble taking those images further. Yikes! Hank, I'm pretty much in love with Jane Ryland, so how to choose? Can I SAY NO MORE? TRUST ME on this. How much longer must I wait? Lucy Roberta, how to choose? Hayley Snow is a wonderful character, wise and funny just like you xox. Every day I thank you and all the rest of my favorite writers for keeping me entertained, educated, happy, and off the streets at night! Thank you, Ann! Somehow I knew you would say that. But funnily, although I know Dreaming of the Bones is a really good novel, and I know what a leap it was for me as a writer, it's not one that I find myself wanting to go back and reread. It's an abandoned child! Seriously, I think it's because it WAS so hard to write, emotionally, that I just don't want to be in that place again. Could I pick just two favorites from each JRW author? Probably not. But you've all hit on ones that would make my "top choices" list. It's very comforting to know that when you pick up any of these books, you're in for a good read. And Jay, I also loved DUPLICITY. No Mark Upon Her, because I was a college rower and you got it right. Hallie's doll book, because I had a memorable interaction in Atlanta with a woman who repaired dolls. Thanks, Margaret. Having Steve Williams advice, and getting to row with him, was such a great experience. I've read all but five of these: Ingrid's and Jenn's--slowly making my way towards them--and Debs' AND JUSTICE THERE IS NONE. 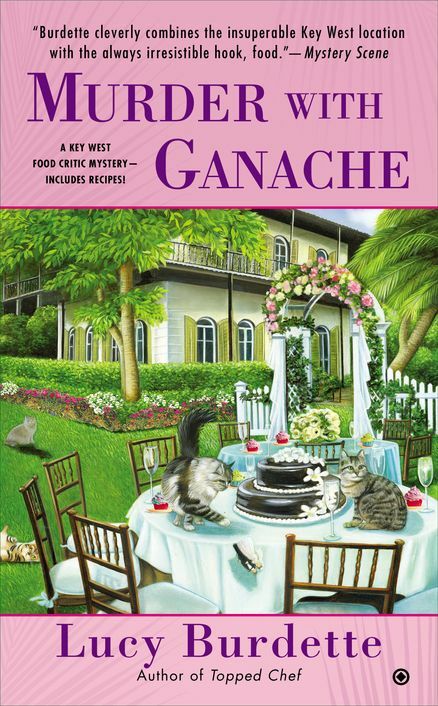 I knew I'd missed one in that series, which I had to read hopscotch fashion, because I could never figure out how Duncan and Gemma ended up living together. This is an "Aha!" moment. For the most part, I agree with everyone's favorites, of those I've read. I'm as bad as you authors: how can you choose? They're all wonderful. Julia did not weigh in on this, but her THROUGH THE EVIL DAYS stuck with me a long time, the suspense level was so high. Same with THE SOUND OF BROKEN GLASS. And Rhys, for me IN FARLEIGH FIELD and THE TUSCAN CHILD are both so wonderful, it's hard to choose my favorite between them. Thank you, Karen. I missed you in Italy this time! Oh, this was fun, but I bet it was hard for you Jungle Reds! Like you say, picking a favorite child. Like Debs, I only have one so that's not hard for me. I've read some of the books listed and not gotten to others. That TBR is so long these days that it's a little scary. However, I will share that I am so excited about Hank's new standalone. Cannot wait to try it and see if I can guess the liar. I'm pretty savvy about figuring out the twist at the end. Ha! Enjoyed your thoughts! And I'll add that I would probably pick Julia's In the Bleak Midwinter as well for my favorite. I've read it more than once. Lovely book. Love In the Bleak Midwinter. That would definitely be one of my "pick two" for Julia. I think I'd have to go back and reread them all to pick a second. I think for readers, the choices are different because the experience is different. Writers spend so much time with each book, it would be impossible to just pick a few. But readers are only spending hours with each book - not months. For me, it always comes down to characters and connections. I would certainly pick Julia's A Fountain Filled with Blood, because it was (and still is in many ways) rare to see gay characters treated with such depth and compassion. And Hank's The Other Woman so impressed me by being so different from the Charlie series - here we had a change in POV, and a much more complex plotting structure. But I'd also want to include Her Royal Spyness because I love Lady Georgiana's voice so much. Rhys, I certainly agreed with your choices, but out of the Georgie books I don't think I could leave out The Twelve Clues of Christmas. I think that one is just brilliant. I know this can be an aggravating question, but for a reader who isn't familiar with the work of an author, a starting place is a really helpful thing! Oh, and Hank, just finished reading THE OTHER WOMAN, which I enjoyed a lot. Oh, thank you! Whoo hoo. That book was a real turning point for me. Like Prime Time, and Trust Me. Wonderful post! So many favorites to chose from! Thank you for sharing your favorites. I often learn about new books from Jungle Reds. I have too many favorites to list here! Debs, I agree that Rhys' The Twelve Clues of Christmas was just brilliant! Impossible to choose! Like others have said, for me it's usually the first book in a series, because now I have new "friends"! After that, my next love would probably be the newest book in each series. After all, I wouldn't continue reading the series if I didn't feel committed to the author and characters. 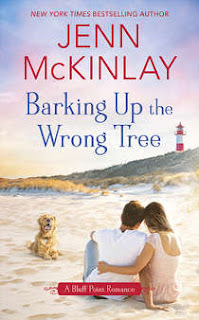 I like Hallie's books because even though I don't know the characters from previous books, I know she will treat them with respect while providing heart-stopping moments for the reader. There are books I would read all in one sitting if I didn't need to stop and catch my breath. All of you have written them. Just rambling around here... if I'm torn between reading a new book by a JRW author or a book by someone else, even if that someone else is an author whose books I love, I choose JRW. Of course. I've read almost all the Red-written books, although I am way behind on Jenn's. (Do you ever sleep?? :-) And Rhys, I've read all the books in each series except for the Molly Murphy books. I'm still making my way through them. (And I do miss Evan Evans.) 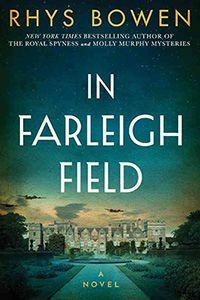 I loved In Farleigh Field and wish it could have been the beginning of a new series. Asking me to choose favorite books from my Reds is like asking me to choose a favorite bone in my body. They are all wonderful. Even in my library days, I was never good with titles so my list would be more on the lines of the one where so and so happened. I wish Julia was able to comment, because a dedication in one of her books led me to Jungle Red Writers -- much gratitude. - Where Fina finds not all religion has to do with faith - and an ending that still has me saying "wow"
where the body in the library had me saying good riddance (I hope they don't have to replace the carpet. Again.. sorry I can't remember the title. but I can tell you what the cover looks like. Coralee, I love the way you remember books! Coralee--that is my FAVORITE PART!!! of Face Time. And really, it's up there with my favorite moments ever. Thank you! And yes, those times in Say NO More, too. Do you know how wonderful you are? Thank you! Coracle, yes! That was a harrowing scene to write and has stayed with me! Interesting to read your picks and the reasons behind them. Thanks for making the hard choices. Okay, it's 1pm on the East Coast and my picks for two nooks are finally up! You have to go to the front page to check them out. I originally write them up this morning around 4:30am - I had to getup to collect Youngest at the high school at 5am at the end of her Project Graduation. Yes, she graduated yesterday! After 21 years, I'm finally done with primary and secondary education. Anyway, In my sleep-addled state, I must have messed things up with Blogger, because there was nothing there when I sat down at 12:30 to (finally) comment on the back blog. FML, as the kids say nowadays. Two books. Although maybe I need to find two nooks for napping. It's been a LOOONG week. I'm feeling SO guilty, too. I keep saying, "But what about..."
I agree with Joan that I've loved every book I've read by the Jungle Reds, and I've read all of Hank, Rhys, Debs, Hallie, Lucy, and Julia. Ingrid and Jenn, I've got your books and am on track to catch up with you. I don't think I can pick two from each author because I've loved different things about each of the books, and following along in the series, it's all one for beautiful, thrilling story containing characters I'm invested in and new characters whom add so much to the journey. This may seem like the coward's way out but my favorite books are the first in any series I grow to enjoy because it is the gateway into hours and hours of reading pleasure as each series continues and the characters face new challenges and their lives and relationships undergo changes. That is a tough challenge for all of you accomplished authors. I'll only weigh in on today's selections, by Deb Crombie. 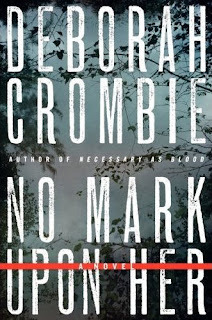 No Mark Upon Her is not just a favorite of mine, inside and outside her work, but I met a German woman in England recently, on a garden tour, who is an all-out Crombie fan and says "the Henley book" is her favorite. I also loved Garden of Lamentations particularly. As soon as I vote, I think, "Oh, but wait..."
Thank you for sharing with us. I love Lucy and Jenn's books. 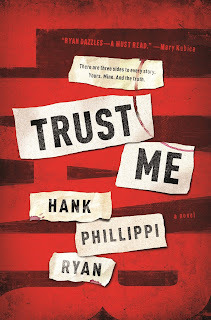 I just finished reading Trust Me, Hank's newest book, absolutely LOVED it, and recommend everyone reads it!